With winter in full swing, it feels as though the entire universe is coughing, sneezing, and complaining of sore throats, aches and pains, and stubborn fevers that linger for days on end, and with 4+ months left of cold and flu season, these natural cold and flu remedies are more important than ever. As the mom of a feisty 5-year-old who likes to touch EVERYTHING and refuses to visit the doctor or take medicine without a dramatic production that’s worthy of an Academy Award, cold and flu season is a particularly stressful time for me. Few things leave me feeling as desperate as watching my sweet girl suffer when there’s little to nothing I can do to help her, so when she started to display signs of the influenza virus over the Christmas holidays, I was terrified. It started on Christmas Eve when she complained it felt like she had a Christmas tree in her tummy, and once her gifts were opened and the wrapping paper was thrown away, she developed a fever which was quickly followed by chills, body aches, and lack of appetite that kept us all feeling miserable and exhausted. But thanks to all of the amazing like-minded moms I have in my life, I’ve picked up some amazing natural cold and flu remedies over the years, and with a little help from my BFFs, I’ve teamed up with Boiron® to share 35+ of our best tips to make cold and flu season more bearable. Whether you or your little one has a sore throat, nagging cough, stuffy nose, fever or pain, or are suffering from nausea, vomiting, or diarrhea, we’ve got natural solutions to help make the whole family feel better. Just be sure to exercise caution when treating illnesses at home. Always check with your doctor first, and never ignore symptoms that require medical attention! -Gargling with salt water helps with swelling and discomfort while also loosening mucus. -The gelatin in warm Jell-O mixture is a delicious way to soothe sore throats. Prepare the mixture according to the directions on the box, but rather than putting it into the fridge to chill, allow it to cool slightly before drinking for relief. -Known for its anti-inflammatory and antioxidant properties, chamomile tea can help boost the immune system and fight off throat viruses and infections in older kids and adults. -Popsicles help keep uncomfortable kids hydrated while simultaneously numbing their mouths and throats so they can tolerate food. 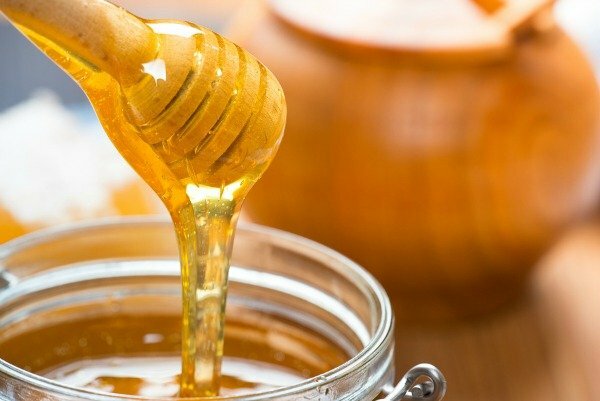 -Honey offers a quick and delicious sore throat remedy – mix with warm water or your favorite tea, or lick it straight off a spoon for instant relief – but avoid giving to kids under the age of 12 months due to the risk of botulism. PRO TIP: Since bacteria can gather on the bristles of your toothbrush, make sure to throw it away when your sore throat dissipates to avoid re-infection. And if your doctor ends up prescribing antibiotics to treat a bacterial infection, change your toothbrush halfway through the course of medication and once again when you’ve completed the full round of antibiotics. -Staying hydrated with lots of water is a great way to thin mucus, particularly for small children who are too young for prescription cough suppressants. -Honey helps coat and sooth irritated mucous membranes to stifle persistent coughs in kids and adults 12 months and older, and can be taken on its own or mixed with tea or warm water. -Warm milk mixed with honey is a great pre-bed drink for dry coughs as it coats the throat better than honey alone, but if the cough is wet, milk should be avoided as it has the potential to create more mucus. -Applying menthol rub to the feet and then covering with socks before bed is an effective way to ease nighttime coughing. Just be sure to use child-appropriate formulas and doses. -Inhaling steam can help loosen mucus and moisturize airways. For older kids and adults, simply place a towel over your head and lean over a pot of hot water and breathe in the steam. For younger kids, stand inside an enclosed bathroom with the shower turned to the hottest setting so he can breathe in the steamy air. In both circumstances, stay away from the hot water – the idea is to benefit from the steam only! 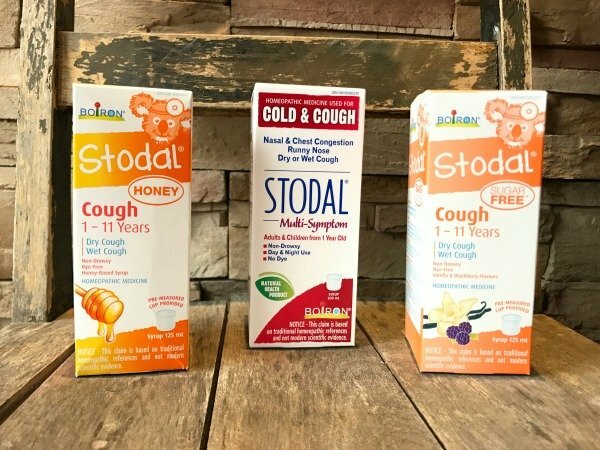 -For dry or wet coughs, Stodal® Honey is an effective OTC homeopathic remedy for children aged one to 11 years. It does not cause drowsiness or contain medicinal ingredients such as dextromethorphan, diphenhydramine or guaifenesin, making it a good option to alleviate coughs in children who are too young for cough suppressants. PRO TIP: If your little one wakes in the middle of the night with a cough that makes it difficult for her to breathe, bundle her up and take her outside into the cold air to see if it helps open her air passages. If this doesn’t help, call 911! -The antiviral and antifungal properties of garlic make it a well-known natural remedy for nasal congestion. Boil it in water and then sip throughout the day, eat it raw if you can tolerate it, or add it to your favorite chicken soup recipe for relief. -Saline sprays can help loosen mucus so it can be expelled more easily. -Stodal® Multi-Symptom offers an effective homeopathic alternative used to treat cold symptoms such as nasal congestion, runny nose, sneezing; minor sore throat, dry or productive cough, or chest congestion when other home remedies prove ineffective. Recommended for adults and children aged one year and older, it’s non-drowsy formula can be used day and night to keep the whole family comfortable! -Sleeping with extra pillows can help open airways for those who sleep best on their back. -Avoid dairy and sugar, as they tend to make congestion worse. -In addition to helping with coughs, inhaling steam and applying menthol rubs can help relieve nasal congestion. -Cold compresses can help reduce discomfort caused by swollen, congested sinuses. 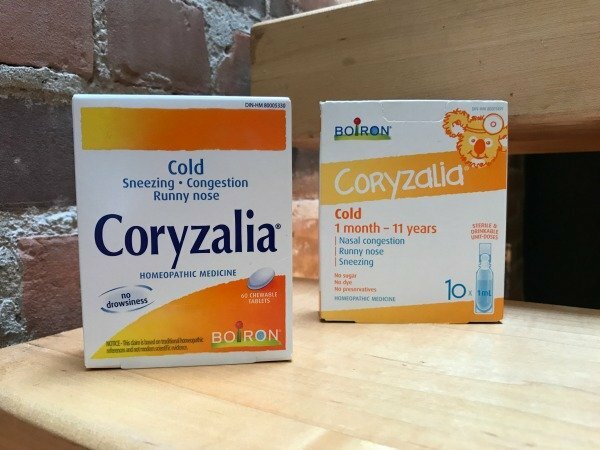 -An effective OTC homeopathic medicine, Coryzalia® is known to help ease cold symptoms such as nasal congestion, sneezing, runny nose, and rhinitis. PRO TIP: Eat meals standing up since sitting and lying down has a tendency to make nasal congestion worse. -Staying hydrated is the best natural remedy to keep a fever under control. Keep a glass handy at all times and consider things like popsicles, watermelon, and grapes for young kids. -Cold washcloths applied to the forehead and the back of the neck can help keep high temperatures under control. -Cold wet socks can help relieve a fever by drawing the blood to the feet. Soak your feet in hot water first for maximum effect. 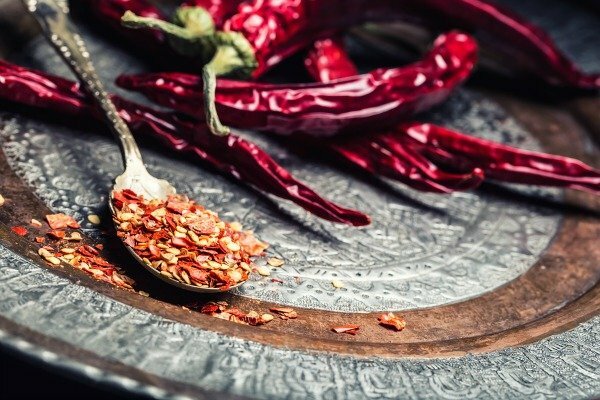 -Eating spicy food can help reduce a fever by making the body sweat, so consider adding a little cayenne to your meals! PRO TIP: When fever strikes, stripping your child down and giving him a lukewarm bath may do more harm than good. If he starts shivering, his body temperature will temporarily rise, making his fever worse. -Alleviate aches and pains by soaking in a warm bath with Epsom salts or using a hot water bottle. -Sleep as much as possible, and spend your waking hours doing something relaxing. Read a book, watch TV, or whatever else you can to allow your body to heal. -Whip up a batch of your grandmother’s famous chicken soup. It’s said to act as an anti-inflammatory, which makes it an excellent natural remedy for colds and flus. 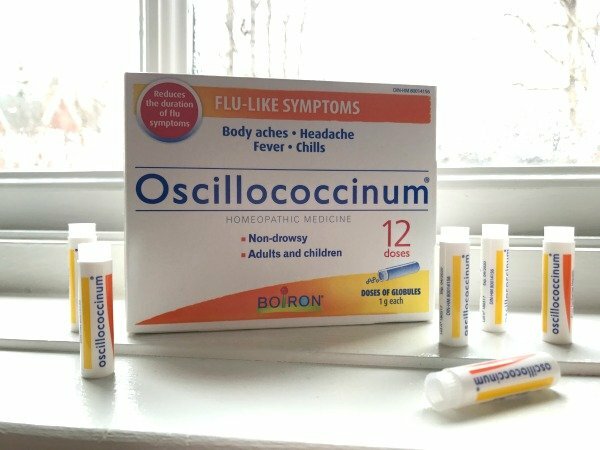 -Oscillococcinum® is a homeopathic remedy that offers relief of flu-like symptoms, including body aches, headache, fever, and chills. Suitable for children and adults, Oscillococcinum is the entire family’s ally against the flu, so make sure to keep enough on hand! PRO TIP: Start taking Oscillococcinum® at the first onset of flu-like symptoms and repeat 2 more doses at 6-hour intervals. -Reduce liquid intake. Giving too much liquid too soon can make vomiting and diarrhea worse and lead to dehydration. Start with a tablespoon of water or flat ginger ale, wait to see if it can be tolerated, and then increase. -Electrolyte solutions can help ward off dehydration. Check your local pharmacy or grocery store for child-friendly options that you can keep in your fridge or freezer to prevent dehydration when tummy bugs strike. -Avoid solid foods and stick with the BRAT diet (bananas, rice, apple sauce, and toast). -Brew a cup of chamomile tea. Its anti-inflammatory properties can help alleviate intestinal discomfort in older kids and adults. 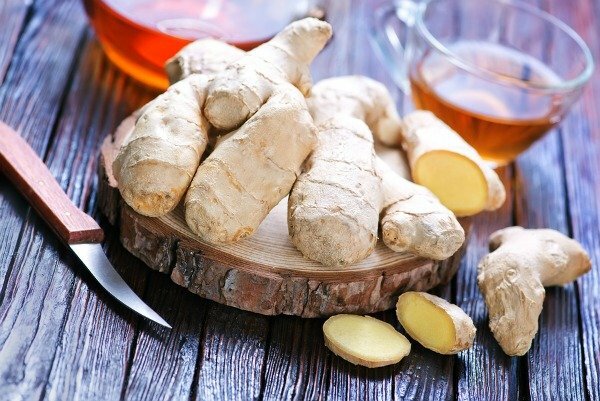 -Ginger offers a fabulous natural treatment for nausea. Peel, cut, and boil fresh ginger and then sip to treat an upset tummy. PRO TIP: Use towels instead of blankets as they are more absorbent and easier to clean, and double (or triple) sheet your child’s bed with waterproof mattress covers to make middle-of-the-night bed changes easier. Phew! With so many cold and flu remedies to choose from – including homeopathic remedies available from Boiron – it’s hard to know where to start, but with a little trial and error, you will soon find which solutions work best for you and your family. 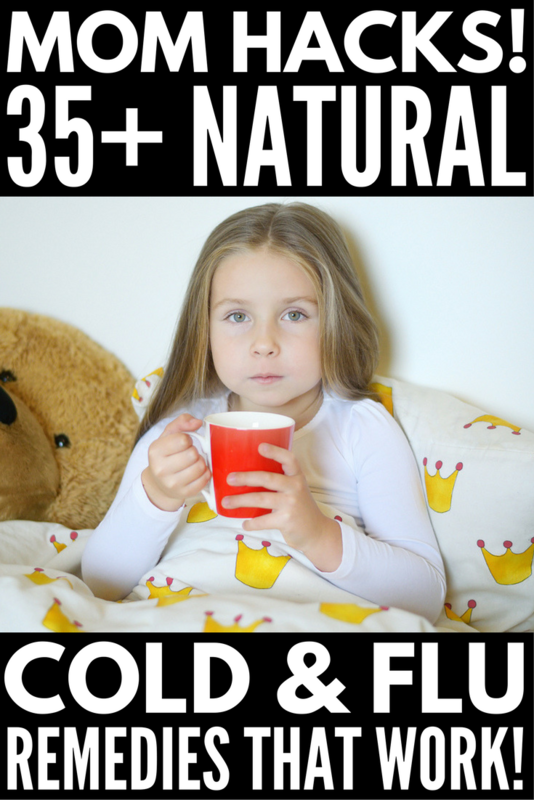 If you found this collection of natural cold and flu remedies helpful, please share it on Pinterest! And if you’re looking for more ways to keep your family healthy, please follow our Home Remedies board!